The Big Test is a former live show at Legoland Florida. It is now closed. 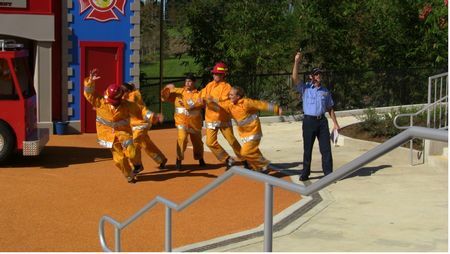 A live stunt show where you watch a group of "firefighters in training" bounce, jump and bump their way through their "big test" to become official firefighters. There's a lesson in fire safety slipped within the silliness, too.